Can you recommend a source for healthy and natural carpet/rug padding? Q: Can you recommend a source for healthy and natural carpet/rug padding? Most pads I have found contain either PVC or some kind of foam, and the "natural" rubber versions smell so badly that I wonder whether they contain other chemicals. I read with interest your article on natural wool batting and down-proof ticking and would like the same level of information on rug pads. Thank you. A: Your specific questions are answered below within the context of underlayment in general. 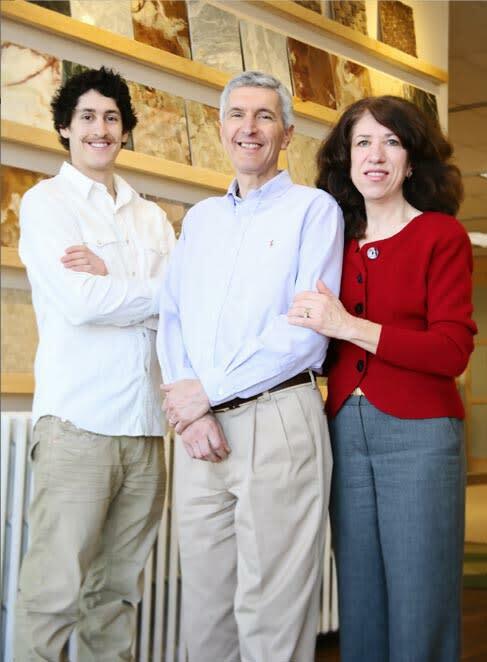 Due to the many considerations, it’s helpful to have a general framework of understanding when choosing the right carpet pad. Floor covering manufacturers usually specify what type of underlayment or padding is best suited for their particular product. It’s always advisable to use underlayment they recommend to insure that the warranty will be in force. However, there are many good green alternatives that will comply with most requirements and be acceptable to your manufacturer. It’s best to confirm this before buying anything different from what is stated in the installation guidelines. In the last few years underlayment quality and performance have improved significantly, emissions have dropped, and there are far more choices on the market. There is still plenty of hype, greenwashing and labeling confusion so we offer some background here to help you make the best choices for the best performing green underlayment. The area that supports the flooring above it. On the first or second level it could be old pine planks or plywood, oriented strand board (OSB), chipboard, etc. It could also be lightweight concrete or gypcrete as used in apartment buildings or condos. This generally refers to any material placed on top of the subfloor as preparation for a particular floor covering. Is an underlayment the same as a vapor barrier? Manufacturers of floating floors (made of laminate, wood, cork, bamboo, or linoleum, etc.) typically require two things placed underneath their floor: 1) an underlayment and 2) a vapor barrier. Vapor barriers are often confused with underlayment, but they are not the same thing. Any material that has a permeance of 0.1 US perm or less is considered a vapor barrier. That means it does not breathe; it blocks all moisture vapors and is considered moisture impermeable. Materials considered vapor impermeable include metal, glass, thick plastics, and unperforated epoxy paint. In the flooring industry, vapor barriers are usually made of 6 ml polyethylene plastic sheets that come in a roll; or a vapor barrier may be attached to the surface of an underlayment. What is underlayment made of? Accoustical membrane made from one or more cotton, wool, foam, cork, gypsum, etc. 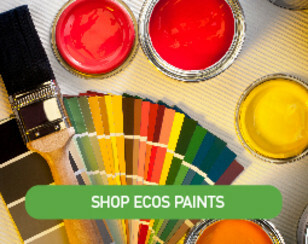 Whether made from natural or synthetic materials, most underlayments now have low or no VOC content. 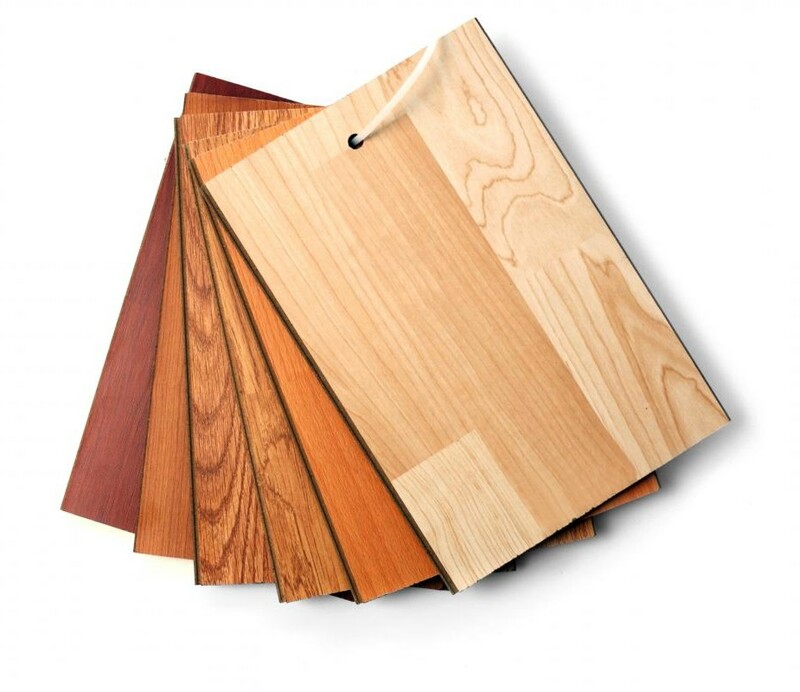 There are a few exceptions you should be aware of such as: plywood, OSB, chipboard and some urethanes and rubber which in many states still contain urea formaldehyde, BHT and other questionable ingredients. Cork and wool are probably the safest and made from renewable resources, while rubber, plastic and wood require further research because manufacturers vary in how they fabricate them. The carbon footprint of each varies, with wool and cork being the least, then plywood and cement board being the most. What is the purpose of underlayment? Longevity: How do they hold up over time? This is a question that is rarely discussed but needs to be addressed because some of today’s flooring and carpeting have longer life spans. That requires their underlayment to lasts long too. You’ve probably seen old carpet padding that has disintegrated underneath an old carpet. The pad is made of inexpensive urethane foam that crumbles into dust in 5-10 years and eventually provides no cushion. If you purchase a wool carpet that lasts, say 20-30 years, the underlayment needs to keep up, otherwise your carpet will seem to lose its life as well. Most of today’s carpet padding is made of urethane foam, recycled synthetic fabric, synthetic rubber, hair/jute or wool. All of these products come in a range of thicknesses and densities to suit your carpet or your special physical needs (knees). The denser products usually cost more but last longer and maintain their bounce longer. Dense foam, rubber or wool won’t wear out like the thinner, softer, cheaper stuff. Uneven subfloors: Which underlayment best smoothes out a subfloor? Subfloors in older buildings are rarely smooth or flat. Settling or expansion and contraction may cause a subfloor to become uneven. In very old buildings, multiple layers of flooring may have been added over each another which eventually causes high and low points. The first requirement for installation of a new floor is usually to ensure that the subfloor is smooth and flat. It may be difficult or impossible to adjust the footings of a building that has settled, and equally difficult (and expensive) to reverse years of expansion or contraction due to excessive heat and/or moisture. One of the best ways to smooth things out is to add an underlayment on top of the subfloor (or on top of the existing flooring which will now become a subfloor). A good underlayment not only creates a smooth surface but also becomes part of the subfloor structure adding stability, crack resistance and many other benefits. Plywood, cement board and plastic dimpled matting are each good examples of underlayment that add smoothness and structure to a subfloor. Plywood is usually ¼” thick and made of 5-7 ply birch plywood. Cement board (¼-3/4” thick) is made of Portland cement and/or recycled content containing wood pulp. Plastic dimpled matting (1/8” to 1/4”) has become popular in the tile industry because it resists moisture and cracks better than plywood or cement board. Patching compounds are also commonly used to shore up dips in the subfloor. These inexpensive compounds are usually made of Portland cement, dry quickly and can be troweled by anyone directly over small imperfections. Self-leveling compounds are also used if the areas are very large, but this should be left to professionals only. Carpet padding and floating floor underlayments add smoothness to a rough subfloor and help to accommodate imperfections. They add acoustical, thermal resistance too, and help to extend the life of the carpeting or flooring. Noise: Which underlayment offers the best noise reduction? Most all underlayment provides resistance to noise, but some are definitely better than others. Also, many commercial buildings require that the underlayment meet certain acoustical standards. These vary across the country, but STC (Sound Transmission Class) is, by far, the most common sound isolation standard used today. 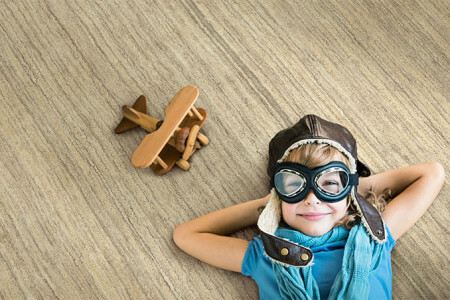 There is an entire science to sound and its resistance which we can’t discuss here, but it’s generally accepted that the best flooring underlayments include cork, rubber, and wool or some combination of them. These also happen to provide good thermal resistance as well. Most apartment and condo associations require ¼” thick cork to be used under any type of flooring, including ceramic tile, carpeting, wood, etc. Look for an STC rating above 50. If you are sensitive to noise and need better protection use a thicker underlayment. Depending upon the type of noise and the type of building you live in, there are many other products to consider if you are trying to soundproof your room. Cold floors: Which underlayment offers the best thermal insulation? Just like noise reduction, most underlayment offers some resistance to cold and heat described by the R-value. The higher the R-value, the better the insulator. Good thermal insulation not only resists cold from penetrating but also helps control condensation which in turn reduces the potential for mold and mildew. Radiant heated floors: What works best? For those with radiant heated floors (either electric or hydronic) it’s best to use an underlayment with the smallest R-value for least resistance to heat transfer. While radiant heat (also known as infra-red heat) will transfer heat through almost any medium no matter what the R-value, those with smaller R-values will have quicker response times and allow a room to heat up more quickly than those with higher R-values. 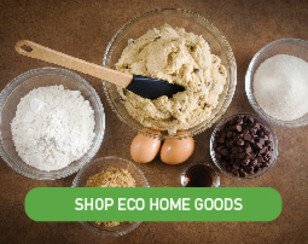 The one with the lowest R value we have found is made of non-toxic synthetic latex rubber. There are several issues in regards to safety: one is toxicity and the other is flammability. Most of the urethanes and rubbers are petroleum based. Some have an odor, but the good ones don’t. Many have questionable ingredients such as BHT, SBR or anti-microbials, all of which are used widely throughout many industries, yet research on humans is minimal and some sensitive consumers are very skeptical. Toxicity: Which underlayment is the safest in terms of off-gassing VOCs? Most underlayment contain very low or no VOCs. However, that does not mean they are non-toxic and safe. Some, for example, contain questionable ingredients such as anti-microbials to stop mold and mildew growth. Others contain questionable products such as BHT (a food grade additive) urethane foam, and SBR (Styrene Butadene Rubber). You have to do your homework. Just because one product is safe does not mean another manufacturer of the same product makes it the same way. Underlayment made with natural materials is generally, but not always, safer than their synthetic counterparts. Cork and wool are generally safest, but make sure there are no anti-microbials added. What happens when they burn? The smoke generated by urethanes and rubbers are not something you want to breathe. There are mixed reviews on the toxicity of these underlayments. However, if you want to be safe, choose wool. It’s very hard to burn which is why wool is used on military jets, submarines and other confined spaces. Wool is self-extinguising and has no toxic ingredients. Fire: Which underlayment won't burn? Cork and wool continue to lead the pack in terms of acoustic, thermal, safety and fire resistance. When burned, which is hard to do, cork and wool do not emit toxic smoke. Other underlayments do, such as: urethane foam, plastics, plywood and chipboard. 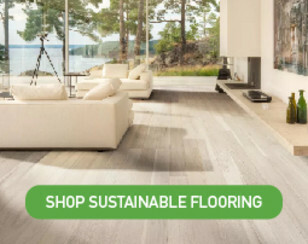 Sustainability: Which underlayment is the greenest in terms of recycled content, carbon footprint, zero VOCs? Once again, cork and wool are the clear winners. Both are upcycled from renewable materials, both require the least energy to manufacture and both have the least impact on indoor air quality.